Noir and neo-noir fiction and movies. Noir was an easy choice for today’s letter ‘N’ for the April A to Z Challenge. Noir is one of my favourite genres in both books and movies. The core of popular noir stems from authors such as Raymond Chandler, Dashiell Hammett, James M. Cain – “The Postman Always Rings Twice”, Patricia Highsmith – “The Talented Mr. Ripley” (1955), and David Goodis – “Down There” (1956), which is a moody, intense novel of a musician who’s fallen on hard times, and gets caught up in his family’s criminal activities. You’ll find plenty more in list such as this one on Goodreads. And there’s even a list of chic-noir there as well! Neo-noir is probably more widely-known and popular that true noir. Much of the reason for that is the popularity of some very well made neo-noir movies. One of the stand-out neo-noir movies is L.A. Confidential, based on James Ellroy’s novel of the same name. It has all the ingredients of a great book and movie, tension, intrigue, duplicity, romance, and of course, the stunning Kim Basinger. Same goes for The Black Dahlia, which is another from Ellroy’s L.A. Quartet. I was surprised that this film didn’t get a better reception. It’s one that I’ve enjoyed many times, and has a great script and cast. There are many other noteable neo-noir movies including, Miller’s Crossing, which is an interpretation of the classic ‘The Glass Key’. And more recently, Gangster Squad, in which Sean Penn plays an old noir favourite, Mickey Cohen. There is a plethora of neo-noir novels to choose from other than the mega names above. 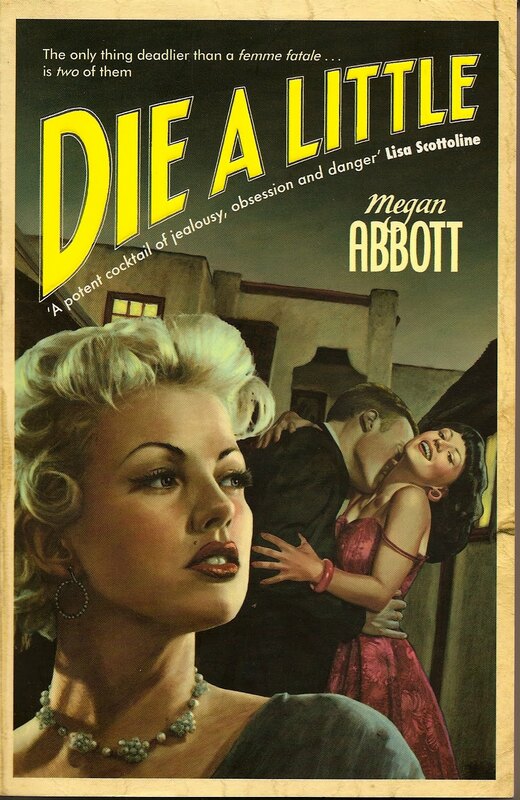 Before Dare Me, and before her Edgar-winning Queenpin, and her other superb novels, there was Die A Little. This stifling tale set in 1950s L.A. features Hollywood in all its nasty glory. There’s usury, addiction, prostitution, and maybe even a little true love. Possibly the best-selling author of neo-noir fiction is Dennis Lehane. You may recognize the work of Dennis Lehane from the films that have sprung from his novels: Shutter Island, and Mystic River being two of the most successful, and deservedly so. He takes the lives of ordinary people in less than ordinary situations involving abductions, murder, and departure from reality, and weaves them into a complex, multi-layered plot. Dennis Lehane’s work has wide appeal. The novels that are easy to read, but at the same time, complicated in their layers of imagery, plot, and depictions of the truth, and somebody’s reality. Today’s music clip comes from Chet Baker, and really catches the mood of classic noir.